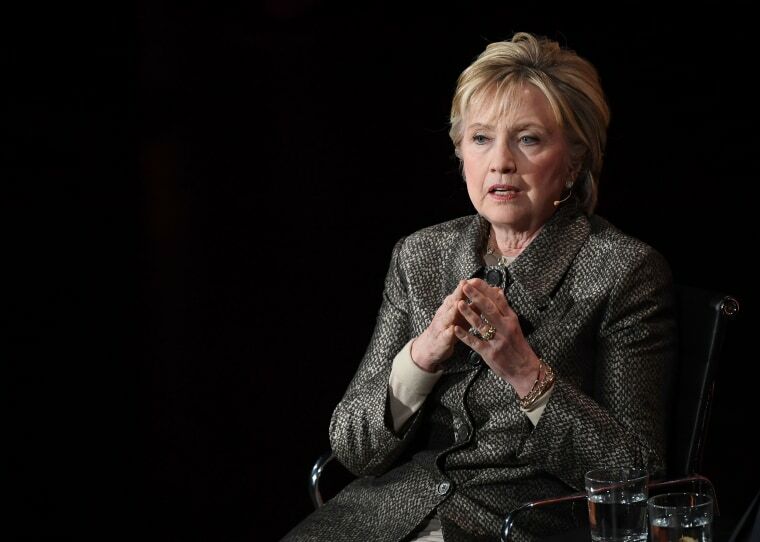 The former Democratic presidential candidate cited Russian meddling in the election, FBI Director James Comey's involvement toward the end of the race, WikiLeaks' theft of emails from her campaign chairman, and misogyny. Clinton’s comments came during her first post-election interview at Tina Brown’s eighth annual Women in the World Summit in New York City. She was questioned by Nicholas Kristof of The New York Times. - Russia. "A foreign power meddled with our election," she said, labeling it "an act of aggression." She called for an independent, bipartisan investigation into the Kremlin's involvement and said the probe should examine whether there was collusion with the Trump campaign. - Misogyny. "Certainly, misogyny played a role. That has to be admitted," she said. Clinton added that "some people — women included — had real problems" with the idea of a woman president. - Comey. Clinton cited as damaging to her campaign his unusual decision to release of a letter on October 28, less than two weeks before Election Day, that said he was looking at additional emails related to the FBI probe of the former secretary of state's use of a private server. - WikiLeaks. Weeks of disclosures of stolen emails from the personal account of then-Clinton campaign chairman John Podesta, were particularly harmful, Clinton said, adding that it "played a much bigger role than I think many people yet understand." About her own role, she said, "There were things I could have done better." Two days before the election, Comey announced that none of the emails would lead to criminal charges — leaving in place the FBI's determination from July. Officials told NBC News that nearly all of the emails were duplicates of emails that had been examined already. Kristof also asked Clinton about Trump. “I don’t understand the commitment to hurt so many people that this administration, this White House, seems to be pursuing,” Clinton said, pointing to the immigration ban, the slashing of U.S. funding for the UN Population Fund, and the failed health care bill. Clinton, who is writing a book that she said would examine her defeat last year, said she doubted she would ever seek public office again. "Devastating," was how she described her loss.